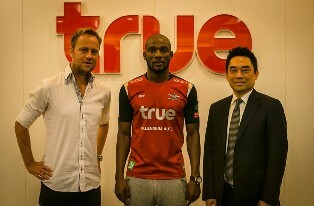 Bangkok United’s investment in Jaycee Okwunwanne this summer is already paying dividends to the Thai Premier League club after the striker netted for the third game in a row since joining them. In the derby on Wednesday afternoon against Bangkok Glass, Okwunwanne scored in the 63rd minute to give Bangkok United a one - goal lead before teammate Ekkachai Sumrei sealed the win in the 90th minute. The 29 - year - old scored his maiden goal for his new employer against Army United before increasing his goals haul in the next league game with Osotspa. Interestingly, Bangkok United have picked maximum nine points from the three matches Okwunwanne registered his name on the scoresheet. After the international break, they host second on the table Muang Thong United.